Youngevity - 90 For Life. Single Bottle Aloe Natural 16 oz. Aloe 7000™ is manufactured through a U.S. patented process referred to as “Whole Leaf Stabilization.” Utilizing the entire Aloe Vera leaf, this unique process extracts additional nutrients and enzymes found only in the rind of the plant. 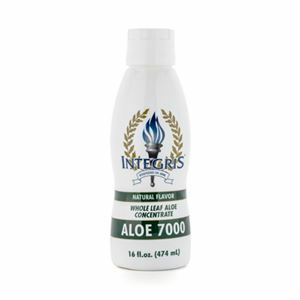 Furthermore, Aloe 7000™ is concentrated at room temperature. This new proprietary process insures that no harmful heat has been used thus yielding the highest quality Aloe Vera on the market today. Ingredients: Whole Leaf Aloe Vera Gel Concentrate, Sodium Benzoate and Potassium Sorbate.